The Apia Bagration 80 is a round bibbed, tall body, thin profiled sinking jerk minnow that has been designed as a drift bait to target sea bass in mid water, bay areas and particularly around man-made structures such as jetty and wharf pillions. With its tall-thin profile, the Bagration 80 is designed intentionally to be caught by current to be drifted down stream with the flow. As it drifts, its profile causes the Bagration 80 to roll from side-to-side as its sinks to the sea-bed, shimmering light off its flanks to attract the attention of its intended target. This rolling action is further accentuated with its pronounced rounded bib on a jerk-pause retrieve, bringing life to Bagration 80 as it is being worked upwards to the surface. 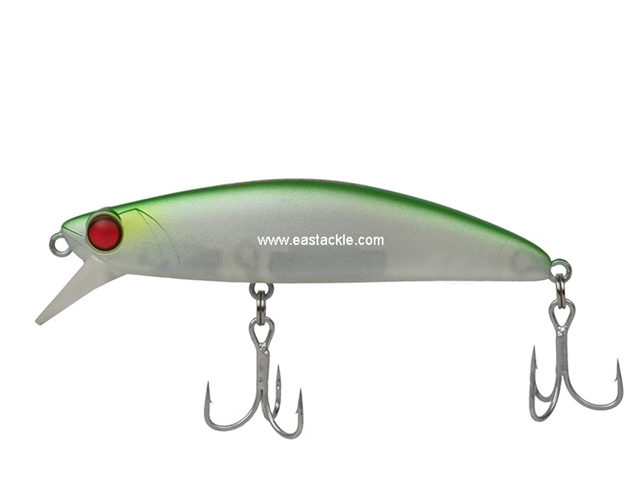 At 13 grams and just 8cm in length, the Apia Bagration 80 is an excellent mid-size lure to have in an angler’s arsenal.